Bring a underwater camera to capture all of the amazing sights! Pick-up and drop-off times will vary. This activity may not be available on some holidays, including Christmas Day. 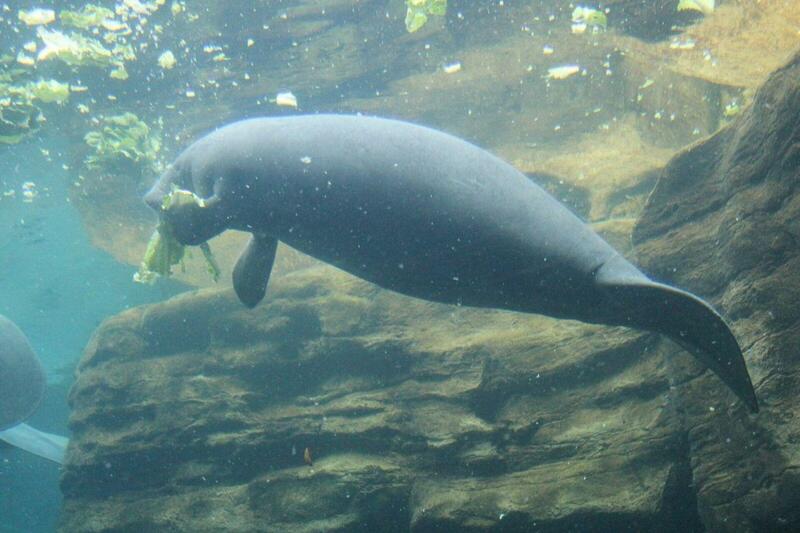 First it’s off to the picturesque Crystal River, home of the endangered manatee. Here you can choose to snorkel and swim in the crystal clear water, or just sit back, relax, and enjoy the natural surroundings on the boat tour. Manatees, also known Sea Cows, are gentle giants and when snorkeling they will often come to greet you or even roll over to be tickled. After lunch, visit the fantastic Homosassa State Park - one of Florida’s best kept secrets. At the state park, you will have the chance to view many of Florida’s endangered animals such as the state panther and also visit an underwater viewing chamber for the manatees. Breakfast and Lunch are included in this all-inclusive day trip – It’s a perfect choice for the whole family! Cute magnets. Lots of Manatee 'stuff'.